Take a deep breath, push out of the gate, gain speed and flex every muscle in the body to speed through a racecourse lightning-fast. As focused as ski racers are on the course, many have to focus equally as hard on their finances. Madison Ostergren works as a restaurant hostess and nanny to pay for the sport she loves, but that isn’t enough. Photo: Couresty of Madison Ostergren. "When I get to the start gate, I have to think to myself, this run costs me, like, $50. 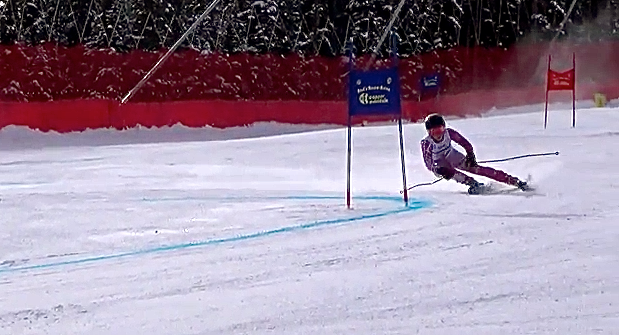 It's kind of crazy to think about," says Madison Ostergren, 17, who, like many alpine ski racers competing at the elite level, recently turned toward crowdfunding to make ends meet. 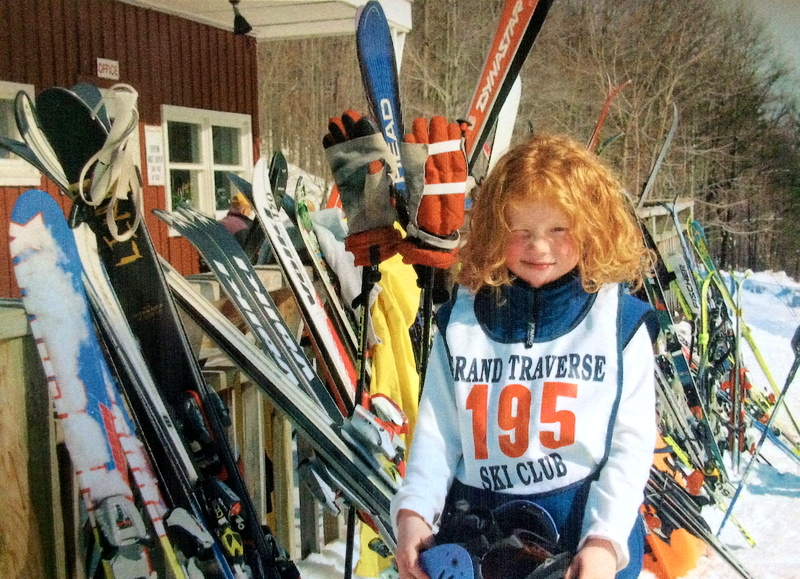 Ostergren started skiing in her hometown of Traverse City, Michigan, at a small ski area called Hickory Hill, when her stepdad introduced her to ski racing. Ostergren said that her parents had no idea what they started. After years of racing, Ostergren "maxed out her potential" in Michigan, so her parents and younger sister moved with her to Salt Lake City to give her the opportunity to ski at a higher level. This winter, Ostergren plans to compete in 40 to 45 races all over the country. She hopes to someday be recruited to the Olympic team, but that comes with a hefty price tag. A typical race weekend or week costs about $200 a day, she said. That includes race fees, coaching fees, and hotel-room costs. Ostergren plans on footing the bill of about $22,000 for the upcoming season on her own, with some assistance from her parents, Snowbird, and a partial sponsorship from Atomic. To find even more financial support, Ostergren's USSA coaches and peers pointed her to crowdfunding, specifically a site called RallyMe. Ostegren started skiing in Traverse City, Michigan. Photo: Courtesy of Madison Ostergren. "The skiers that seem to need us most are high-level athletes. And they need anything from $5,000 to $25,000," says Bill Kerig, the founder and CEO of RallyMe. Kerig is a filmmaker who wrote and directed The Edge of Never, a film about Kye Petersen visiting the site where his father passed away in Chamonix. In 2010, Kerig began filming Ready to Fly, a documentary following the women's ski jumping team as they fought to get admitted to the 2014 Winter Olympics at Sochi. Kerig was inspired to steer athletes toward crowdfunding by ski jumpers Lindsey Van and Sarah Hendrickson during filming. At a farmer’s market in Utah, Van and Hendrickson stood behind a plastic folding table with a large salad bowl in front of them. "Have you heard about women's ski jumping?" they'd ask, hoping strangers would donate to their cause. People passing by would throw in the occasional dollar, maybe more. It surprised Kerig that these two women were begging for scrap change in order to compete in a sport they love—the one they were best in the world in. In that moment, Kerig realized that there was a problem, one he had a solution for. RallyMe launched November 1, 2012, with Van as the first rallier. She raised over $23,000 with her campaign. In 2012, the women’s olympic ski jumping team asked for donations at a farmer’s market, using a salad bowl to collect funds. Crowdfunding sites like Indiegogo and Kickstarter had already been established, but their focus was on creative projects such as independent films or launching new products (Lynsey Dyer’s Pretty Faces raised $113,534 on Kickstarter). Kerig focused on athletes and designed a site that catered to them. 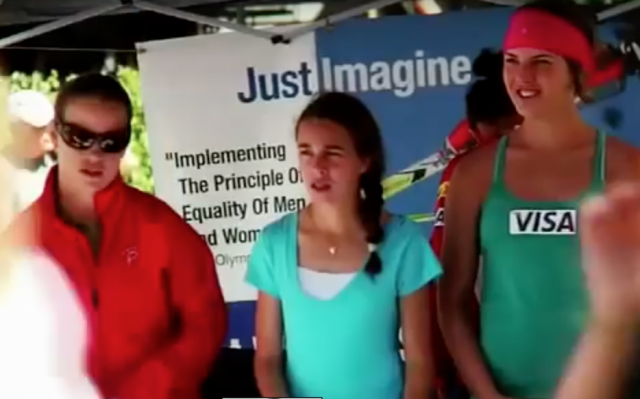 "We tell young athletes, 'You have a tough journey in front of you. It's a great journey, it's a great life, but it's a hard living,'" says Kerig. In one season, an elite-level athlete can spend between $10,000 to $35,000 in travel-related expenses for competitions, according to the USSA. Crowdfunding has infiltrated various industries, but within the world of sports, skiers are the ones who have taken to it most, says Kerig, who points to the great financial cost associated with ski racing and notes that skiers tend to not shy away from risk. Skiers continue to dominate the membership of his site. A.J. Ginnis, 20, an alpine skier based in Vermont who won the silver in men’s slalom at the U.S. Nationals, said he would not have been able to ski last year without RallyMe. He also would not have achieved the sponsorships he has been able to get in order to fund this coming season. Due to his father's unexpected death, Ginnis said that his family was no longer able to fund all the necessary expenses. With help from the USSA, Ginnis built his campaign. He didn't really expect much to come from it, but he was desperate. It was a last resort. AJ Ginnis learned how to ski in Austria before moving to the U.S. at 15 years-old. In just over a month, he was able to raise $25,000. It took Ginnis about three weeks to put everything together. He created a video, wrote the text for the webpage, and coordinated the swag he'd give to his donors. After launching the campaign, he spent a lot of time getting the word out—even hitting the pavement and going door to door. "I see it going from last resort to saying, 'this is my first step,'” says Kerig. "Everything happened exponentially," says Ginnis. "I wasn't expecting much from it and, low and behold, it kind of bloomed and I was able to fund my season." Without RallyMe, Ginnis said he would not be skiing at the level he is today, and after achieving notable race results last year, he attracted sponsors to help fund this season. He admits he is hesitant to recommend crowdfunding to other athletes because of the amount of work needed to put into it and does not see it moving past something used as a last resort. "In a way it's kind of weird to ask people for money," says Ostergren. "It's like the hardest thing to do, to ask your friends and family." Even though it's awkward, Ostergren believes it's effective. As of August 17, she had raised just over $1,500 with 82 days left to reach her goal of $20,000. She also has a crowdfunding campaign set up through Snowbird, which accepts tax-deductible donations. Already, she says she spends a lot of time writing thank-you notes to her donors, using custom-made cards with a collage of her skiing. Kerig knows that athletes are hesitant to use crowdfunding sites as a primary source for cash, but he sees potential in it. Both Kerig and the USSA are confident crowdfunding is here to stay: They're taking the salad bowl out of the farmer's market and into the digital age. "I see it going from last resort to saying 'this is my first step,'” says Kerig.